PDF: -- 392K -- Provides the document in Portable Document Format. HTML: -- 372K -- Displays the document as a web page. articleEnFa.pdf: -- 392K -- . presentationEnFa.pdf: -- 140K -- . The Halaal/Libre ByStar Digital Ecosystem is presented as a moral alternative to the Proprietary American Digital Ecosystem. Mohsen Banan – Neda Communications, Inc. Copyright ©2012,2013 Neda Communications, Inc. In the Proprietary American Digital Ecosystem (Internet Application Services as they exist today), the individual’s autonomy and privacy are being crushed. A deal has been made. Users free-of-charge get: email, calendar, address book, content publication, and Facebook friends. In return, American corporations get: semantic analysis of email, spying with consent, traffic, logs and trail analysis and behavior cross referencing. A new currency has been created. The user’s autonomy and privacy is now the implicit Internet currency. For now, the established business model is that of translation of the individual’s privacy into targeted advertising. That business model will naturally grow in scope. The debit side of this new currency is civilization and humanity. Today, the world is largely unaware of this. The public is completely oblivious to the perils of the proprietary Internet model, and happily entrusts its personal data, its privacy, its freedoms and its civil liberties to proprietary business interests. And the people whose responsibility it is to safeguard the public interest – government, and the engineering profession – are asleep at the wheel. In addition, Internet services are inconsistent, disparate and incoherent. Resulting into 10s of passwords for the individual on services over which she has no real control. The dynamics and trends of the Proprietary American Digital Ecosystem are such that autonomy and privacy of the individual will continue to deteriorate. We are Internet Engineers. We know that we can design and create a complete parallel digital ecosystem which preserves the individual’s autonomy and privacy – to compete with and stand against the existing Proprietary American Digital Ecosystem. And we have done so. But to put it in its intended widespread usage, we also need your participation (our fellow engineers, journalists, financiers, academics, government representatives, ethicists and users). Preservation of autonomy and privacy are multi-dimensional. So, we have taken it upon ourselves to also consider philosophical, moral, societal, social, economic and business dimensions of our parallel digital ecosystem. ByStar (By* – pronounced by-star) is based on the model of Federations of Autonomous Libre-Halaal Services and is being presented as a moral alternative to the American Proprietary Digital Ecosystem. The totality of Libre-Halaal software, Libre-Halaal Internet services, content generation and publication facilities and societal frameworks that we describe are designed for preservation of ByStar user’s autonomy, privacy and freedom. The health of society is our objective. A Gmail that recognizes your mailbox must be autonomous and private. A Facebook that respects your privacy. A YouTube that recognizes your content as yours. A Windows that creates a deep Software-Service continuum. The equivalent of all of these in the ByStar model are unified, consistent and coherent. Broad and deep usage of these software and these Internet application services will create revenue opportunities that are similar to those of large Internet application service providers today. These revenues include subscriber fees, advertising, customization consultation, general consultation and interaction facilitation fees. Profit, business and economics are an integral part of ByStar. This is not about any new particular functionality. It is not a faster, cheaper, better story. In terms of functionality, what we offer is generally same as what exists today. Preservation of the individual’s autonomy. ByStar services are inherently autonomous. They belong to their owner-user – not the service provider. Preservation of the individual’s privacy. The individual is in full control of her service. She can fully control her privacy. They are comprehensive, unified, consistent and cohesive. The scope of ByStar is everything. The “*” in By* comes from the glob expansion symbol. And all these services are unified with the ByStarEntity model. They are rooted in the correct manner-of-existence of software and services. The entirety of ByStar software and services are internally transparent. ByStar software and services development process is fully collaborative. In other words, morality, health of society, and well being of humanity are an integral part of software and services that we offer. This work is primarily not Businessman driven. It is Engineer driven. Such a large undertaking by such a small group should normally amount to not much more than pipe dreams. Typical first reaction to our claim is a chuckle. Some say it is insane. Many say that the notion of creating a parallel digital ecosystem is so very lofty that it can’t be realistic. There are several reasons why we believe widespread usage of what we are building is more than plausible. It is viable and likely. ByStar ideology is in harmony with nature. We understand the enormous, seismic force that accompanies halaal manner-of-existence of software and halaal manner-of-existence of Internet services (as expressed in the Libre-Halaal label). Manifestations of this force include the Free Software Movement and GNU/Linux. But there is far more to come. We have already built the needed framework and starting points. These are in place and are growing. The ByStar model grand design is broad, evolutionary, expandable and it can grow to scale to planet wide usage. The demand for autonomy and privacy are very real. Many are starting to recognize that things like Facebook are very wrong. Healthy alternatives are craved for. The business and economic models for ByStar have been thought through and are being cultivated. Today, the Internet services industry is almost entirely owned and controlled by proprietary commercial interests. Google, Yahoo, MSN, LinkedIn, YouTube, Facebook, Apple, and virtually every other Internet service—these are all proprietary for-profit corporations, with no obligation towards the public welfare. This represents a grave hazard to the broader interests of society. The existing proprietary digital ecosystem is well on its way towards the destruction of humanity. Under immediate threat of destruction are the privacy of the individual, and the autonomy of the individual. Loss of autonomy and privacy are symptoms of the basic model of the Proprietary American Digital Ecosystem. At societal level, autonomy and privacy can not be preserved just with new technology. There are no band-aid technical solutions. The basic model of the Proprietary American Digital Ecosystem is all wrong. There is already the beginning of dawning realization within society of the growing danger to the individual’s rights and freedoms. Various attempts at blowing the whistle are made by some, but these are often crude and based on superficial understandings of root of the problem. Zuckerberg has done more harm to the human race than anyone else﻿ his age. Facebook is Wrong. It should not be allowed. You technologists should fix this. We must end the greed of these corporations. The original Panopticon, like the digital versions the likes of NSA and Microsoft are building, takes away all feeling of privacy. Even when one is not watched, knowing that the possibility of being watched is always there, creates uncertainty and leads to self disciplining and self censorship. It is certainly a state the powers that be would like everyone, except themselves, to be in. To call these signs of deterioration of humanity is an understatement. Many think that there is no problem. From the perspective of a drug dealer, use of drugs is no problem. Many drug pushers are drug users. They want every body to be using drugs. After all, it is a profitable business and economics is the basis of everything. When someone tells them that subjecting cocaine to business and economics is wrong, they don’t have the ear for it. Individual’s autonomy and privacy are not market commodities. They are part of humanity. The problem that we are pointing to is a human problem. This could well not be a problem for economic creatures existing in an industrial context — that is how pure raw American capitalism is viewed by many. Many Americans work for the likes of Facebook, Google, Micosoft, Yahoo, etc. Or they are related and dependent on these companies. If bread and butter of these companies was to become profiting from crushing autonomy and privacy of the individual, most of their employees would likely not have any interest in facing an honest mirror. That has already happened. This sort of thing happens gradually. People become accustomed to the problem. They become dependent on the problem. They become the problem. And then there is no problem. Everybody does it. Everybody is on Facebook. What problem? The public at large, and the young in particular, follows and is manipulated. They sit in awe of Internet technology. Ignorant, they trust the specialists who are there to milk their soul. The latest gadget and the latest Internet feature includes exploitation of another aspect of their privacy. They feel in charge while being used. And they feel empowered. The concept that these very same awesome capabilities and technology can exist in a healthy context is foreign to the public at large. Industrial tools is all that they have seen, Tools for Conviviality is greek to them. Others kind of see the problem but consider it inevitable. More recently, discussions of loss of privacy in the context of Internet services has become a daily occurrence in mainstream western press. None of these discussions has any depth and no meaningful cure is even searched for. Many articles and books have been written about “End of Privacy.” Shallow, subdued nagging – that is the position and role of American press on the problem. Internet has its origins in America. In the beginning, Internet was a healthy Engineering construct – and we played a minor role in its formation. The initial basic model of Internet was rooted in the end-to-end model of interactions between autonomous entities/individuals. Things changed quickly. Internet became a business construct. The current basic model of Internet is rooted in the rise-of-the-middle model of corporations exploiting the individual. Supremacy of business and economics – Leaving no room for societal, social, philosophical or moral considerations. 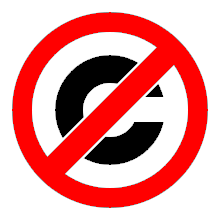 Errant American copyright and patent law sourced from the US Constitution – Ramification of such grave ownership mistakes are complex and long lasting. But, they can be even more harmful than the previous American ownership mistake – American slavery. Elimination or marginalization of role of Professions (Internet Engineering) in society. Corpocracy – Where collaboration of Corporation and Government results in manipulation and control of the People. Over emphasis of individualism and personal freedom – out of balance against mass manipulation of individuals by corporations and health of society and humanity. Uses of Internet as an instrument to exploit other societies and cultures. These dynamics are such that American Internet model puts civilization in danger. In order to cure this disease, we need to conceptualize it in its totality – that of a “Digital Ecosystem”. The Proprietary American Digital Ecosystem can not be fixed. Its dynamics are taking it to a particular eventuality – destruction of civilization and humanity. Instead we need to erect an alternative digital ecosystem to stand against it. Sanctity of autonomy and privacy – based on just morality and principle. Ideology of guardianship of the Internet by the engineering profession. Full rejection of Western IPR. Correct/Healthy manner-of-existence of software and services. Audit Trail Protection and Traffic Flow Confidentiality. Recognition of independence of societies and cultures. Full consideration of business and economics. Consistent with these, we put forward the “Libre-Halaal ByStar Digital Ecosystem”. Our use of the term “Digital Ecosystem” is very broad and includes inter-related software, systems, services, content and societal frameworks including: philosophical, moral, societal, social, economic, business and legal practices – that shape it and are shaped by it. Here we describe digital ecosystems in four parts. Digital Ecosystems exist within societal frameworks. Digital Ecosystems are shaped by societal norms and Digital Ecosystems shape people and society. A very important aspect of societal framework which has immediate impact on shape of digital ecosystems are laws and models governing poly-existentials. Societal Agreements governing all that is digital (and more broadly poly-existentials) in the West is based on the IP regime. This has shaped the entirety of Western Digital Ecosystems. Software is the digital form that controls other digital forms. As such, it is the foundation of digital ecosystems. Internet Services consist of software execution accessed through a network. The fact that as such, software may no longer be in the immediate possession of the user, Internet Services are a distinct part of digital ecosystems. A primary purpose of digital ecosystems is to facilitate production and communication of information and content. In addition to the content itself, facilities and rules governing production, publication and access to content are a distinct part of digital ecosystems. We then recognize two basic Manner-Of-Existence Of Digital Ecosystems. In practice, today there are two established models for the manner-of-existence of software. This model is exemplified by Microsoft Windows. It is based on a competitive development model, and dominated by American companies. It is protected and rooted in the corrupt Western so-called Intellectual Property Rights regime, in particular the twin ownership mechanisms of patent and copyright. It is opaque and prevents software users from knowing what their software is doing. Its distribution is controlled by its producer. This model is exemplified by Debian GNU/Linux. It is based on a collaborative development model where software engineers worldwide work collectively to move the software forward. It rejects the corrupt Western so-called Intellectual Property Rights regime of patent and copyright. It is internally transparent and permits software users to know exactly what their software is doing. Its distribution is unrestricted. The broad label that we use for Internet services and software as it exists and is practiced today, is: “The Proprietary American Digital Ecosystem”. We include the term American in this label not just because it is dominated by America, but because it is rooted in American values and American rules. The American purely economic model and widespread practices which are based on Western IPR regime has led to dominance of Internet by large American corporation and governance of the Internet through Corpocracy. These corrupt values and models are now being exported and forced on the rest of the world in the name of Internet. The manner by which the Proprietary American Digital Ecosystem is shaped by American societal norms is multi-faceted. To better understand this, in Figure 2 we provide a layered model. The very same eight layers that are presented in 2 are the basis of the layered model that we present as a moral alternative in Section 4. Note that without recognizing and tackling the underlying root causes of the problems that the proprietary American digital ecosystem present, it is not possible to cure these problems. When the underlying nature of any public digital ecosystem is proprietary, it poses a danger to health of society. In the following sections, we focus on specific aspects of the above layered model. The Proprietary American Digital Ecosystem comprises of a number of competing Proprietary Digital Enclaves. The proprietary Microsoft digital enclave is one such example. The Microsoft enclave has had its roots in the proprietary software business and is now trying to bring in proprietary services. The proprietary Google digital enclave is an other example. The Google enclave has had its roots in the proprietary search business and is now trying to integrate with more software and services. Apple, Facebook and Amazon are examples of other American Digital Enclaves. What they all have in common is that they are all competing locked environment driven by Patent and Copyright laws. None of these enclaves were designed ab-initio to be digital environments for humanity. All of these enclaves exist primarily to generate profit for their owners. This model of being governed by competing proprietary enclaves is normal and even desired by most Americans. The American medical system is similarly structured and so is the American food system. From the outside, many view Americans as purely economic creatures that exist in an industrial context who are fully committed to supremacy of money. While the proprietary American digital ecosystem my be fine for Americans, it may not be for the rest of the world. Bits are without border and this American disease has been spreading. Ramifications of manner-of-existence of the proprietary digital ecosystem, matters in two important ways. It matters in terms of service functionality—what the service itself is actually doing. And it matters in terms of policy—what the service provider is doing. Regarding service functionality: existing proprietary services such as Google, Yahoo, YouTube, Facebook, Microsoft, Apple, and virtually every other service—these are strictly controlled assets of their owning companies, heavily defended by patents and copyright. The software that runs the service is closed, such that the true service functionality is unknown. This means that the user of the service you have no knowledge of what the service is actually doing behind the scenes. For example, you have no knowledge of what the service is doing with your personal information. Every item of information you provide to the service, either implicitly or explicitly—every communication, every search query, every website visited, every mouse click—can be used by the service provider for unknown purposes, without your knowledge or consent. Proprietary services are operated by corporations whose actions are driven purely by profit. This is the single ultimate purpose of the proprietary service provider, to which all other considerations come secondary. In particular, both functionality and policy are dictated wholly by this purpose, with no concession towards the interests of the individual user or the general public welfare, beyond what contributes directly or indirectly to profit. This closed, profit-motivated and -dominated Internet services model represents severe endangerment to critical civil liberties such as privacy, freedom of information, and freedom of speech. The existing proprietary regime leads to the wrong manner-of-existence for software and the wrong model for provision of Internet services. Wrong in that it allows control of the service by the provider, and exploitation of the user’s data, in a way that is detrimental and unknown to the user. The solution to this is an entirely different model for Internet services, where service ownership is placed squarely in the public domain. The Libre-Halaal By* Digital Ecosystem model is fundamentally different in every respect. In terms of ownership, there is no ownership: Libre-Halaal Services are a communal public resource, with no patent, copyright or secrecy barriers to free access and usage by anyone. In terms of functionality, the software is open, so the services are completely transparent in operation. This transparency allows professional oversight by the engineering community, to verify the integrity of the service, ensuring that it in no way violates the interests of the user or the general public welfare. And in terms of policy, operation of the service is governed by a social contract, drafted with full representation and advocacy for the individual user and the general public welfare. The Libre model thus fully guarantees the critical civil liberties that are endangered under the proprietary model. By* Federation of Autonomous Libre Services are Internet Application Services that are internally transparent and focus on preservation of user’s privacy and autonomy. By* stands against Facebook/Google/Yahoo/MSN/iCloud the same way that Linux stands against Microsoft Windows. This is very different from existing Internet services capabilities. The Internet landscape of today has arisen in a highly disorganized, unstructured way, driven by a multitude of uncoordinated commercial ventures. The existing services capabilities have been built in a completely ad hoc manner, based on immediate business expedience, rather than any sort of coherent design. The result is the Internet Services industry as it appears today: a multiplicity of functionally isolated, incompatible services. And while this may not be apparent to the everyday user, having never experienced anything different, this limits the capabilities of Internet services in many ways. By* is the model for a new generation of unified Internet services, far superior to the uncoordinated mishmash of services that exists today. It is designed for consistent, uniform interoperability across all types and manners of service usage. By* is the Internet services industry, done right. We now present an overview of our work and the contours of ByStar in 4 regards – Ideology, Model, Capabilities and Economics. A very important aspect of societal framework which has immediate impact on the shape of digital ecosystems are laws and models governing poly-existentials (knowledge, ideas, information, the digital domain). Societal Agreements governing all that is digital (and more broadly poly-existential) in the West is based on the IP regime. This has shaped the entirety of Western Digital Ecosystems. In contrast, ByStar is ab-initio driven by the ideology that morality and health of society should be the foundation of the ByStar digital ecosystem. In Figure 3, we present a roadmap in forms of layers. Each layer has a document that addresses that concept. Each layer builds on the layers below. At the lowest layer lies moral and societal questions of right and wrong (halaal and haraam). The two green layers at the bottom are philosophical, moral and societal. Their scope is wider than the moral digital ecosystem that we are after. Generally speaking, they are not the domain of engineers. They are the domain of ethicists, philosophers and sociologists. The blue layers are philosophical, moral, societal, social and engineering aspects of digital ecosystems that require direct involvement of engineers. We precisely define what we mean by “Halaal” and “Haraam” and the explicit context and scope of the “Libre-Halaal” label. We use the word Halaal carefully and consistently to emphasize that our work is anchored in morality. In ByStar ideology, it is the responsibility of the Internet engineering profession to preserve autonomy and privacy of the individual and health of social and societal interactions. In order for the engineering profession to fulfill these responsibilities, certain societal agreements with respect to the manner-of-existence of software and Internet services need to be in place. We use the “Libre-Halaal” label to express the required societal agreements. In the Proprietary American Ideology, there is no Internet engineering profession responsibility – engineers are instruments of business. Profit is the prime directive. As a result, manner-of-existence of software and Internet services is closed and restricted (proprietary), rooted the Western IPR Regime. We draw a clear distinction between what Software Internet Engineering Profession means in the context of the Proprietary American Digital Ecosystem and what it means in the context of the Libre-Halaal ByStar Digital Ecosystem. Central to our ideology and approach is full rejection of the Western so-called Intellectual Property Rights regime of copyright and patents. Next we focus on the correct manner-of-existence of software. Our definitions for Halaal manner-of-existence of software and Internet service are concrete and precise. These definitions are similar to the “Free Software” and “Open Source” definitions but are distinct. As engineers, our legitimacy for addressing this topic is our responsibility to the engineering profession and the engineering profession’s responsibility to society. We have created the http://www.HalaalSoftware.org site for further cultivation of the concept of Libre-Halaal Software. We then introduce the concept of “Libre-Halaal Services” and describe the model for guaranteeing internal transparency of Internet application services in a collaborative environment. We have formulated a radically new, non-proprietary model for delivery of Internet services. Libre Services are an extension of the principles of Libre-Halaal software into the Internet services domain. They are Internet services that can be freely copied and reused by anyone. 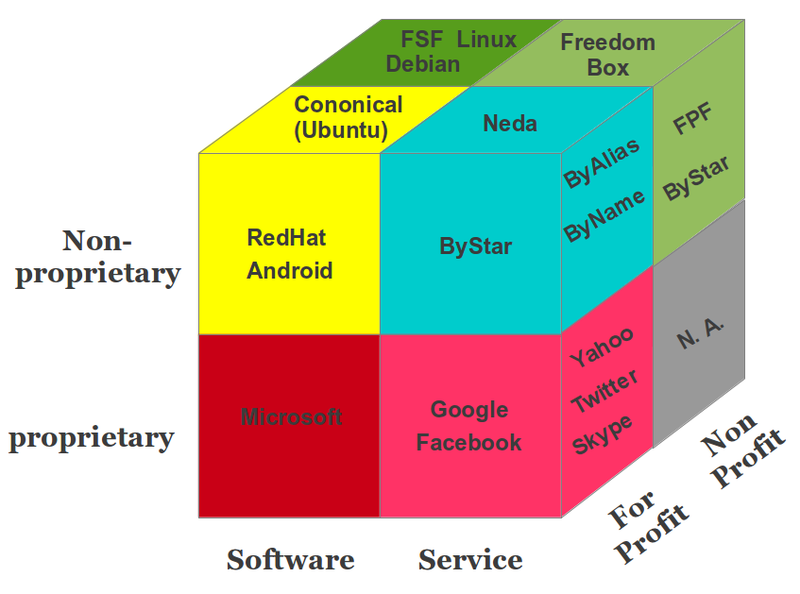 The Libre Services model exists in relation to the proprietary Internet services model of Apple, MSN, Yahoo and Google, in an analogous way to how GNU/Linux exists in relation to Microsoft Windows. We have created the http://www.LibreServices.org site for further cultivation of the concept of Libre-Halaal Services. In addition to being Libre-Halaal, ByStar is based on the Unified Autonomous model. The Internet Services industry has arisen in a highly disorganized, unstructured way, driven by a multitude of uncoordinated commercial initiatives. The various industry capabilities have been built in an ad hoc manner, based on immediate business expedience, rather than by any sort of overarching engineering design. The result is the Internet Services industry as it exists today: chaotic, non-collaborative, uncoordinated, and falling far short of its true potential. In contrast to this, the ByStar Digital Ecosystem is based on a coherent, collaborative, scalable, generalized Internet Services model. Together, the Libre-Halaal Services and By* models have enormous implications. The Libre Services development model, and the By* unified services model, can transform the Internet completely, from the proprietary and ad hoc model of today into something far more powerful. The realization of this potential is large, complex and ambitious. It is far too large in scope to be accomplished by any one company acting alone, but instead can only be accomplished as a coordinated industry-wide effort. But the ByStar Libre-Halaal Services model enables precisely the necessary large-scale, distributed, cooperative effort. We provide an overview of the model and design of ByStar Federation of Autonomous Services. Based on this model and structures, ByStar services can consistently grow and interact with other ByStar services to provide a rich and healthy environment. By* is based on a set of key abstractions, representing the major real-world entities that must be represented within a generalized web structure. These entities include such things as individual persons, businesses, physical locations, and events. For each such entity we have defined the structures and conventions required to represent, instantiate and name that entity in a unified, consistent way, and at a very large scale. We have then defined the major classes of services required to manage these entities, and to allow highly generalized interactions within and among each other. Currently, ByStarServiceCapability is one of the capabilities enumerated in figure 4. ByStar services are structured in two layers. (1) Autonomous Libre Services and (2) Federated Libre Services. Each autonomous Libre-Halaal service is anchored in a ByStarEntity and can offer any of the ByStarServiceCapabilities. In Figure ?? we present the way that Autonomous Libre Service, Federated Libre Services and User Environments are structured. Autonomous services may wish to engage in end-to-end interactions with other autonomous services. But in order to facilitate such interactions, involvement of some intermediary services may be needed. We refer to such enabling intermediary services as federated services, and we refer to the association of a federated service plus its subscribing autonomous services as a federation of autonomous services. The concept of Federated Libre Services is layered above Autonomous Libre Services and focuses on interactions amongst Autonomous Libre Services and facilitation of information aggregation amongst Libre Services. An example of a federated service for information aggregation is ByTopic.org where autonomously published content (documents/music/video) is optionally centrally republished – autonomous and federated publication are fully consistent. Users experience ByStar Services through ByStar User Environments. ByStar services can be accessed in a variety of ways. In addition to the traditional browser based model, ByStar provides for rich and deep Software-Service integration. Initially we are focusing on two convivial, , User Environments for ByStar. Blee (ByStar Libre Emacs Environment) is a layer above Emacs that integrates ByStar platform (Debian GNU/Linux) capabilities into Emacs and provides for integration with ByStar Services. The deep integration between Libre-Halaal Software and Libre-Halaal Internet Services creates a Libre-Halaal Software-Service continuum, far superior in capability to any Proprietary/Haraam Software/Service combination. ByStar offers a rich environment and a number of facilities for content generation. Autonomous Content Publication facilities are a well established feature of ByStar. we describe capabilities and features of ByStar content generation facilities and ByStar autonomous content publication facilities. Autonomous self publication can then be augmented by information aggregation federated services such as ByTopic, ByContent and BySearch. The ByStar Digital Ecosystem is driven by a set of engineering architecture principles. We summarize some here. Our primary criteria for software component selection and service design is “conviviality”. By conviviality we refer to the concept of “Tools for Conviviality” as Ivan Illich introduced it. we introduce the concept of "Convivial" into Globish. Tools are intrinsic to social relationships. An individual relates himself in action to his society through the use of tools that he actively masters, or by which he is passively acted upon. To the degree that he masters his tools, he can invest the world with his meaning; to the degree that he is mastered by his tools, the shape of the tool determines his own self-image. Convivial tools are those which give each person who uses them the greatest opportunity to enrich the environment with the fruits of his or her vision. Industrial tools deny this possibility to those who use them and they allow their designers to determine the meaning and expectations of others. Most tools today cannot be used in a convivial fashion. The dynamics of the Proprietary American Digital Ecosystem are such that they produce industrial tools. The dominant model of interaction between people and the model of access to information in the Proprietary American Digital Ecosystem is the centrally controlled Rise-of-the-Middle model – which puts the service provider at the center of all interactions so that it can exploit user and traffic information. When a Federated Service functions as an intermediary, limit its role to the bare essential of hooking the two ends. Thereafter, communications can be end-to-end. The free software movement is a flourishing creative environment, generating a constant stream of new and better software packages, duplicating and surpassing the capabilities of an ever-increasing portion of proprietary software territory. Indeed for any particular item of functionality, there are typically multiple alternative free software packages available. In this environment the model for implementation of By* service functionality is not one of original software development. Rather it is a process of intelligent selection and integration of functional components from the free software creative environment. So in creating By* our task has not been to write functional software components—in fact we have written almost none. Our main task has been to make careful engineering choices among the available free software components, and integrate these properly into the By* framework. In making these choices we consider not just the features and capabilities of each software component, but also the compatibility of the component within the overall By* architecture. We will continue to select and incorporate additional software packages as these materialize within the free software environment. We will not create, so much as we will harvest. Or to paraphrase the common industry dictum: Good programmers write good software; great programmers reuse and integrate. This is the extraordinary power, and magic, of free software: the ability to take things and reuse them at extremely low cost. This is what has allowed a small consulting company in Bellevue to create the beginnings of something that can eventually displace MSN and Google. The basic design of ByStar is very distributed. Services are generally autonomous and interactions are usually end-to-end. This means that ByStar is centrally light. But there are some fundamental and infrastructural and foundational organizations and services that are required at the center of ByStar. The following infrastructure and foundational organizations have been put in place towards administration, guardianship, direction setting and facilitation of collaboration and growth of ByStar. Free Protocols Foundation is the non-profit legal entity that facilitates development, maintenance and administration of ByStar. Neda Communications, Inc. is the for-profit legal entity that has developed Libre-Halaal ByStar Services. The core of ByStar software is subject to the Affero v3 General Public License and also the Neda Commercial License (dual licensed). Neda plans to profit from widespread usage of The Libre-Halaal ByStar Digital Ecosystem in a variety of ways. LibreCenter.net is Neda’s data center. It is distinct and different from other data centers in that is built purely on Libre-Halaal Software. At this time most ByStar Services are hosted at Libre Center. BySource.org is the Software Distribution Center for ByStar software in source form. ByBinary.org is the Software Distribution Center for ByStar software in binary form. ByStar Name and Number Assignment Authority, is under the auspices of the Free Protocols Foundation and is responsible for central assignment of names and numbers for ByStar services. ByStar Services are vast in scope. They are designed to be ever growing. Basic structures of ByStar is in place and many services are built or are partially built. The Libre-Halaal Services collaborative framework allows for ByStar to grow dynamically. Here we provide a summary of where ByStar services stand today. A snap shot of the organizations, services and software that form the ByStar Digital Ecosystem today are shown in Figure 6. Free Protocols Foundation central resources are shown in violet in 6. Neda resources are shown in yellow. Current ByStarEntity generators are shown under the “ByStar Autonomous” label and ByStar federated services are shown next to them. ByStar software consists of three major layers, these are shown in blue. Current Capabilities of ByStarEntity (ByStarServiceObject) – what any autonomous services is capable of offering. Current Span of ByStarEntity Generators – What type of autonomous services (ByName, ByArtist, BySmb, etc) can be readily generated and supported? Current Scope of ByStar Federated Services. Scale of User Base – how many people are using ByStar? Current capabilities of ByStarServiceObjects are enumerated in figure 4. Every ByStar autonomous service is anchored in a ByStarEntity. Every ByStarEntity can be provisioned to provide any of the current capabilities enumerated below. PKCS – ByStar Public Key Infrastructure – Credentials. Various other capabilities are in the works. With the ByStarEntity model in place, addition of features is quite simple. A number of ByStarEntity Generators—the machinery required for fully automated creation of new service instantiations—are in place for a number of ByStarEntityTypes. Current ByStarEntity Generators are shown in Figure 6 under the “ByStar Autonomous” label. We thus have the ability to create unlimited numbers of new accounts in batch mode, or at any time we can “enable” the services, to permit self-service account creation by individual and business users. A number of sites are in place for facilitating inter-autonomous relations. Current Federated Services are shown in Figure 6 under the “ByStar Federated” label. Our initial focus amongst federated service are those used for information aggregation. These include ByTopic, ByContent and BySearch. An important consideration is the point at which we will begin to accept the burden of significant numbers of users. In the case of a conventional service deployment there is typically a major emphasis placed on early and rapid growth of user base, to demonstrate demand and marketplace viability of the service, and lay claim to a particular portion of functional territory. This was modus operandi during the dot con era, where claims of user base numbers were an integral part of spin-and-flip and pump-and-dump model. Some of those attitudes still persist. However we are not following this standard early proof-of-service approach. This may be appropriate for a conventional new service, where service functionality is the central and most critical issue. But for our industry model play, a different timing strategy is required. First, as a superset of numerous existing services, proof of service for By* in functional terms is already demonstrated by the Internet Services industry as it exists today. It is far more important to prove the model itself rather than its functional manifestations, and hasty creation of user base does little to accomplish this. Instead we have provided a coherent and complete description of the model in this and our other documents. The theoretical basis for the model is solid, and this will be clear to anyone willing to invest the time to understand it. In addition a number of working By* implementations are already in place; examples are provided. Though the scale of usage remains small, these are sufficient to demonstrate the viability of the Libre model and the By* design, and the value of the resulting services to paying clients. But a far more important consideration is that installed base is very costly in terms of maintenance and support, and premature exposure to these costs can jeopardize the more critical work of building the underlying model machinery. Therefore we will not take on the burden of user base until the time and/or context is right for this. This means either that we are fully ready to accept the associated costs of ownership, or that the user base is being taken on in an appropriate context, such as a suitable business partnership. Under either scenario our strategy is the same: at the right time we will populate the services at large scale by mass creation of By* service accounts for large existing user bases, . The Libre Services and By* models are revolutionary, and can be expected to have a revolutionary effect on Internet usage. But these models are about service development and functionality, not about technological infrastructure. We are not reinventing the Internet protocols, or any other technical aspect of Internet operation. What is being presented here is not a tear-down and rebuild operation. Libre Services and By* imply no discontinuity, in terms of either technology or service deployment. The implementation model for Libre Services and By* is wholly evolutionary—there exists a continuous migration path from the proprietary model of today to the Libre model of tomorrow. Based on ideology, the Libre-Halaal ByStar Digital Ecosystem fully avoids proprietary software and proprietary services. We simply avoid The Proprietary American Digital Ecosystem. But, any and all of our services can be used in the Proprietary American model. The core of ByStar software is subject to the Affero v3 General Public License and also the Neda Commercial License (dual licensed). We describe various options for those interested in joining, adopting and/or licensing ByStar. Free and open-source software (F/OSS, FOSS) or free/libre/open-source software (FLOSS) is software that is both free and open source. It is liberally licensed to grant users the right to use, copy, study, change, and improve its design through the availability of its source code. In the context of free and open-source software, free refers to the freedom to copy and re-use the software, rather than to the price of the software. Libre-Halaal ByStar Ideology and FOSS Ideology have a great deal in common and we closely collaborate with our FOSS brothers and sisters, but the ByStar Libre-Halaal Ideology is distinct. We invite our “Free Software” and “Open-Source” brothers and sisters to recognize that the “Libre-Halaal Software” model is a more complete model and that the “Libre-Halaal Software” label is a better label. Having introduced the Libre-Halaal Bystar Digital Ecosystem in philosophical, moral, societal and engineering terms, we now turn our attention to the economic and business dimensions. We are devout Capitalists. The existing capitalist model for mono-existentials is generally correct, in both philosophical and economic terms. But the extension of the mono-existential capitalist model into the domain of poly-existentials, based on the Western IPR regime, is a grave mistake. Philosophically it is wrong. Societally it is harmful to humanity. And economically it is unstable and vulnerable, since it can be displaced by disruptive business models like ours. The ByStar Open Business Plan explains how this will come about, and how we will profit from this. The Libre-Halaal Services deployment model breaks both these traditions. It represents a radical shift of the Internet Services industry from the for-profit, proprietary quadrant, to the for-profit, non-proprietary quadrant. In this space the entire software for an Internet service remains a communal public resource in the trust of the engineering profession, while service deployment is driven forward by the full force of for-profit commercial motivations. We provide more details on this topic. As shown in Figure 7, the By* services are positioned in the For-Profit Non-Proprietary Quadrant For Internet Services. As shown in Figure 7, the By* services are positioned in the For-Profit Non-Proprietary Quadrant For Internet Services. Note that in the non-proprietary layer, re-use and collaboration is far richer than the proprietary layer. For example, in the Software slice, Debian and Ubuntu cross progress. In the Services slice the same can happen. Where for example ByStar and FreedomBox can cross progress. ByStar value chain is a chain of activities that we perform in order to deliver a valuable Internet services to the market. It is a high-level model of how we take raw externally developed Libre-Halaal software as input, add value to these software packages through various processes, and sell finished services to our customers. In Figure 8, we illustrate the ByStar value chain on the left column and its inter-mixing with proprietary value chains on the right column. Focusing on the right column of Figure 8, notice that “Neda Operated By* Services” establish a direct relationship with Subscribers and Users at the very top. Note that the scope of these Internet services is everything – the * in By* – and that the intended scale of these services is planet-wide. By definition, no Internet services opportunity can be bigger than that. The arrows between Neda Services and User/Subscriber in Figure 8 include an element of “Trust, Loyalty, and Respect” which is the result of “ByStar Ideology” that we presented earlier. The element of trust and respect is fully absent in the left column. In business terms, Trust and Respect, translate into “stickiness” – where the user is more committed to the service. So, you see, all our investments in ideology are actually also business wise. All of the ByStar value chain software is Libre-Halaal (Free and Open Source) software. ByStar software in Figure 8 is shown in two different colors. The software in bright blue represents Debian and/or Ubuntu GNU/Linux and the specific software packages that we have chosen. These are externally developed open source software packages which are typically subject to the free software GPL license (or similar) which permits their inclusion in proprietary services. This is often referred to as ASP loophole. The software in bright green is the software that Neda has developed. It is subject to the “Affero General Public License Version 3” (AGPL3) and Neda Commercial License (Dual Licensed). AGPL3 closes the ASP loophole. Any ASP which uses ByStar software must subject its changes and improvements to AGPL3 and make its changes and improvements publicly available. Those ASPs not wishing to do so, can use ByStar software through the Neda Commercial License. In the left column of Figure 8, we illustrate a typical proprietary ASP who is incorporating ByStar as part of its services based on the Neda Commercial License. In this environment the model for implementation of By* service functionality is not one of original software development. Rather it is a matter of selection and integration of already available software packages. Virtually all existing By* service functionality has been created this way—in building By* we have written almost no new software components at all. Thus we are not so much in the business of software development, as we are in the business of software integration. But the integration of software components to produce a coherent service is far from trivial. We have created a sophisticated technical integration environment for this purpose, called the Neda Libre Services Integration Platform (Neda-LSIP) . Design of LSIP and the ByStarEntity Software Platform recognize the evolution of underlying external software (bright blue) in the ByStar value chain. This is the extraordinary magic of Libre-Halaal software and services: the ability to take things and reuse them at extremely low cost. This is the fundamental growth dynamic of Libre Services, and the powerful generative force that is lacking in the proprietary model. This is the key dynamic that causes the By* Libre Services eventually to surpass the proprietary model entirely in terms of features and functionality. The halaal manner-of-existence of software creates a powerful generative development model for Halaal Internet Services. This generative model is absent from Proprietary/Haraam Internet Services. Thus Libre-Halaal Internet Services have a major advantage and can compete directly with Proprietary/Haraam Internet Services in terms of development. The basic recurring revenue models for Libre-Halaal Internet Service providers are essentially the same as for Proprietary/Haraam Internet Service providers. Thus in terms of revenue generation, Halaal and Haraam services are on an equal footing. ByStar open business plan is available in 3 forms; the Condensed Summary (about 12 pages), the Executive Summary (about 15 additional pages) and the full plan (about 85 pages). Our business plan is viable because we understand the critical dynamics of poly-existentials. The current direction of the Internet services industry does indeed present a grave hazard to humanity, and we will indeed safeguard humanity against this. These extraordinary claims provide a unique and powerful marketing message. And they also happen to be true. We have given you a brief summary of ByStar above. This summary is over simplified and captures the gist of a series of articles that we have developed to analyze and describe various aspects of ByStar. we provide pointers to ByStar related articles. These documents evolve as ByStar evolves, and the publications list will be kept up-to-date. The ByStar publications list is structured primarily for reference. Below we provide a description of how these documents collectively draw a comprehensive picture. The big ByStar picture is shown in Figure 9. Each of the layers in this figure represents either a conceptual definition (shown in blue), or an actual software/service implementation (shown in orange). Each layer builds on the layers beneath. Representing concepts. Layers 1,2,3,4,7 and 8 are in Green, Blue and Yellow. Representing software/service implementations. Layers 5 and 6 are in Orange and Brown. The tangible layers are bound by the conceptual layers underneath them and receive legitimacy from those concepts. The conceptual layers are validated by the tangible layers. The green layers (1 and 2) at the bottom are philosophical, moral and societal. Their scope is wider than the moral digital ecosystem that we are after. Generally speaking, these are not the domain of engineers. They are the domain of ethicists, philosophers and sociologists. The blue layers (3, 4 and 8) are philosophical, moral, societal, social and engineering aspects of digital ecosystems that require direct involvement of engineers and the engineering profession. The yellow layer (7) addresses economics and business dimensions of ByStar. The orange/brown layers (5 and 6) are engineering constructs. They are in-use software and in-use Internet application services. we provide a reading roadmap to ByStar related articles. Figure 10 shows how the moral, legal, societal, engineering, economic and business dimensions of the ByStar Halaal Digital Ecosystem are layered as described above. Note the differing characterizations of this layering on the left and right. Both characterizations are valid, but they reflect entirely different viewpoints. The left side characterization is called “The Human Model,” and reflects the philosophical, moral and societal elements of the model. It also identifies the role of the engineering profession in maintaining these elements. The right side characterization is called “The Venture Capitalist Model,” and is very different from the “The Human Model.” The same elements are present, but now represent their significance as part of an investment strategy. Thus the moral and societal concerns within the human model are now viewed as a sales and marketing opportunity. This makes clear that when dealing with Venture Capitalists, issues of morality and societal welfare are not the topic of discussion. In this regard Venture Capitalists need only understand that human beings are in fact concerned with vital moral considerations such as “privacy” and “autonomy,” and that these considerations have powerful sales and marketing consequences. And that our unconventional strategy of overturning their sacred-cow – Copyright and Patent model – gives us a huge competitive advantage. The gigantic picture we have drawn in Figure 10 is a blueprint. It represents a complete framework for collaborative work towards an alternative to the current proprietary digital ecosystem. By aligning ourselves with the natural forces and dynamics of poly-existentials, and by means of large-scale unrestricted collaboration, we can achieve this. Though this is not part of popular cultural awareness, there is currently a titanic battle taking place between two competing ideologies: the proprietary software model (exemplified by Windows), and the free software model (exemplified by GNU/Linux). This is a to-the-death battle, from which there can eventually emerge only a single winner. The software battle is part of a broader ideological contest, about ownership models for poly-existentials in general (software, but also including ideas, knowledge, literature, music, images, movies, etc.) in the digital era. Current ownership models are rooted in the historical conventions and institutions of material products and materially-based services. In the case of abstract constructs such as software, these conventions appear in the form of the existing Intellectual Property (IP) regime, where proprietary ownership is asserted by means of patents and copyright. But the inherent nature of software, Internet services and other poly-existentials is fundamentally at odds with these historical conventions of physical property (mono-existentials) ownership. Such constructs have the inherent potential for unlimited replicability and dissemination, and in the age of the Internet this potential is now fully realized. As a result the existing western Intellectual Property conventions are coming under increasing stress, as the internal forces of replicability clash with the externally constraining Intellectual Property framework. The Intellectual Property regime is also coming under formal intellectual attack, as the dysfunctionality and true costs of this regime become increasingly apparent. Today, the Internet services industry is owned entirely by business interests. But the Libre Services and By* initiatives represent a startling challenge to this: they represent a determined reassertion of proper guardianship of the Internet by Engineering. This challenge will bring us into massive conflict with existing commercial interests, who will fight ferociously to defend the status quo. Table 1 shows the many elements of contrast between the Engineering and Business value systems. As the table makes clear, these two values systems are in complete and total conflict. We will fully exploit this conflict as the metaphor of a war: a war between Engineering and Business, in which Business represents exploitation of the Internet for profit, and Engineering represents guardianship of the Internet on behalf of the public. ByStar is huge and powerful and viable. But given the entrenched vested interests in opposition to it, the promotion of ByStar amounts to a kind of war. ByStar has the inherent characteristics to prevail in this war – we have moral superiority, intellectual correctness, and a construct that is viable in every respect: technological, economic, societal etc. But it is essential that all this be communicated effectively. The ByStar Wars (to coin a phrase) will be fought on multiple fronts. But as a revolutionary movement, to a significant extent it will be fought as a war of words and ideas. This means that the movement is advanced effectively in words, defended against attack in words, and extremely forceful and effective counter-attack made against its detractors. The above picture is vast. Thus far, the entire By* formulation and development has been done by a very small team. Much of our work and much of our writing is in its early stages of evolution. By* can only be significant if its usage is widespread and if By* collaborative development involves many. We have created many venues to facilitate collaboration. And now we ask you, to assist us in making the By* Halaal Digital Ecosystem widespread. As a first step, we ask you to review what we have written and give us your critique. If you think our work has merit, we also ask you to help us in spreading the word. Please feel welcome to further distribute this document where appropriate. URL: http://www.by-star.net/contact or by email through feedback@ our base domain which is www.by-star.net. The ByStar Digital Ecosystem initiative is big in scope and ambition. It is about an entirely new paradigm for Internet service deployment and usage. It isn’t about just another technology or service—it is a movement. To expand the Libre Services infrastructure, and to build more and better Libre Services. The engineering and technology dimension of By* Halaal Digital Ecosystem is open and very collaborative. To provide analysis and critique of the radical new Libre engineering and business models. To provide sponsorship and funding for Libre Services development projects. The entire By* design revolves around principles of planet wide scalability, very distributed systems, autonomous control and end-to-end interactions. As such, By* has the potential for becoming a basis for national Internet services. As engineers, our focus has been: software manner-of-existence. Consideration of what constitutes halaal software and halaal Internet services based on capabilities and usage is primarily the domain of ethicists. To deploy and deliver Libre-Halaal Digital Ecosystem in a commercial context. To finance commercial deployment of the Libre-Halaal ByStar Digital Ecosystem. To publicize the concept, promote debate, and educate the public. If you think what we are doing has merit, help us in spreading the word. To refuse Proprietary and to demand Libre. To value their privacy and autonomy and to use the ByStar Federation of Autonomous Libre Services. Successful Digital Ecosystems are dynamic. They grow and are ever evolving. In the early stages of the evolution of ByStar we have adopted the strategy of limiting the size of our user base. A large active user base requires more support and is more difficult to maintain when service changes are frequent and when structural corrections may be needed. At a certain point we would invite the public at large to use fully automated services to obtain ByStar accounts and start using ByStar. But, that is not now. ByStarEntityGenerator web services such as ByName.net ByAuthor.net ByWhere.net, etc. are in place. However, at this time we screen account requests individually. Any individual wishing to join ByStar can make a request and we usually activate accounts for these requests. Please see http://www.by-star.net/joiningByStar for details. Groups of users (Autonomous ByStarEntities) such as student or staff at a university or High School or a church can join ByStar en masse and obtain ByName services. Other ByStarEntity abstractions, for example, the deceased in a particular cemetery can join ByStar en masse and obtain ByMemory services.
" Mohsen BANAN ". " lsip design and implementation notes ". Permanent Libre Published Content "110501", Autonomously Self-Published, "December" 2007. http://www.neda.com/PLPC/110501.
" Mohsen BANAN ". " the bystar applied model of federations of autonomous libre/halaal services ". Permanent Libre Published Content "180015", Autonomously Self-Published, "August" 2011. http://www.by-star.net/PLPC/180015.
" Mohsen BANAN ". " the for-profit and non-proprietary quadrant ". Permanent Libre Published Content "120042", Autonomously Self-Published, "July" 2011. mohsen.banan.1.byname.net/120042.
" Mohsen BANAN ". " sa-20000 home ". Permanent Libre Published Content "120044", Autonomously Self-Published, "September" 2012. http://mohsen.banan.1.byname.net/PLPC/120044.
" Mohsen BANAN ". " libre-halaal services defining halaal manner-of-existence of internet application services a non-proprietary model for delivery of internet services ". Permanent Libre Published Content "180045", Autonomously Self-Published, "May" 2013. http://www.by-star.net/PLPC/180045.
" Mohsen BANAN ". " libre-halaal software defining halaal manner-of-existence of software ". Permanent Libre Published Content "180044", Autonomously Self-Published, "May" 2013. http://www.by-star.net/PLPC/180044.
" Mohsen BANAN ". " the libre-halaal bystar digital ecosystem a unified and non-proprietary model for autonomous internet services a moral alterantive to the proprietary american digital ecosystem ". Permanent Libre Published Content "180016", Autonomously Self-Published, "June" 2013. http://www.persoarabic.org/PLPC/180016. Inc. " " Neda Communications. " blee and bxgnome: Bystar software-service continuum based convivial user environments ". Permanent Libre Published Content "180004", Autonomously Self-Published, "September" 2012. http://www.persoarabic.org/PLPC/180004. Inc. " " Neda Communications. " a strategy for rapidly becoming an internet application service provider joining, adopting and/or licensing bystar a proposal ". Permanent Libre Published Content "180040", Autonomously Self-Published, "May" 2013. http://www.by-star.net/PLPC/180040. Inc. " " Neda Communications. " bystar content production and content publication facilities ". Permanent Libre Published Content "180038", Autonomously Self-Published, "May" 2013. http://www.by-star.net/PLPC/180038. Inc. " " Neda Communications. " the libre-halaal bystar digital ecosystem an inversion to proprietary internet services model neda communication inc.’s open business plan ". Permanent Libre Published Content "180014", Autonomously Self-Published, "June" 2013. http://www.neda.com/strategicVision/businessPlan. Mohsen BANAN Andrew Hammoude " " Neda Communications, Inc. " the by * family of libre services for network service providers: Generic proposal a strategy for rapid entry into the internet application services market a proposal ". Permanent Libre Published Content "110005", Autonomously Self-Published, "September" 2007. http://www.neda.com/PLPC/110005.